Profile Response: Valerie Wonder and Rekha Kovner, Seattle Public Library Seattle, WA | How Will We Live Tomorrow? I appreciate days when I can land in a town mid-afternoon and take a writing break. My preferred location is always the local library. I have become accustomed to nice libraries. Over the past twenty years, Massachusetts offered cities grants to renovate or rebuild libraries; virtually every Massachusetts town has a state-of-the art library. 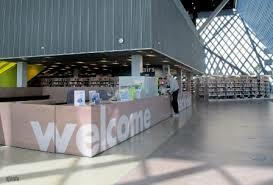 As I’ve traveled west, I have been impressed by how many other cities and towns have impressive libraries. Poland OH, Livingston, MT, and Coeur d’Alene ID all have beautiful libraries. But few public libraries compare to Seattle, where the city passed a bond issue to renovate all twenty-three branch libraries. 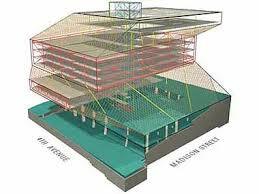 They also razed the 1960’s era main library and constructed an eleven-story architectural landmark designed by Dutch architect Rem Koolhaus in its place. I toured the building, which opened just over ten years ago, with Valerie Wonder, Community Engagement Manager: and Rekha Kover, Youth and Family Learning Manager. Along the way we talked about tomorrow. The Seattle Public Library is an intellectual jigsaw puzzle; eleven laterally shifted levels encased in an angular steel and glass skin that contains almost 10,000 diamond-shaped glass panels. Two vertical elements – one a concrete set of stairs and elevators, the other a black column of stairs and services, plus columns skewed to various angles anchor floor plates that otherwise have little relationship to each other. 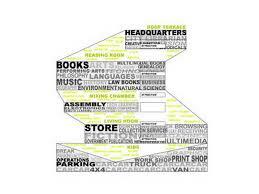 Level 6 through 10 is the book spiral, a continuous ramp that marches through the Dewey decimal system to provide continuous access to the main collection. The building is simultaneously spacious (it‘s often possible to see through the entire space) and maze-like. Narrow ramps, imperceptivity shallow, create literally hundreds of discrete horizontal surfaces. It is architecture with a capital ‘A’. It demands to be noticed everywhere you look, with every step you take. 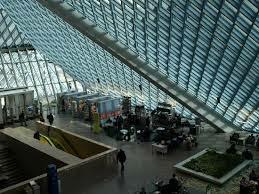 When we arrived at the top level, with its dramatic views down into the reading area as well as out toward the city, our conversation moved from the building to its function – the role of the Seattle Public Library. “So much of what I think about in the future of the library will happen beyond these walls. Seattle is an affluent and growing city, yet we see the income disparities that other areas experience as well. We are committed to reaching everyone. For the most challenged members of our community that means going outside the library.” Seattle Public Library still has bookmobiles and a mail order service for movement impaired people. More recent programs include Wi-Fi hot spots that can be checked out like books, and digital access training in the community. And my favorite, a program of mobile libraries by bicycle! 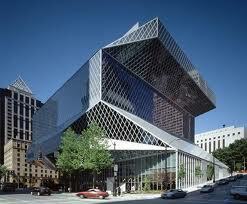 This entry was posted in Responses and tagged Rem Koolhaus, Seattle Public Library, Seattle WA. Bookmark the permalink.